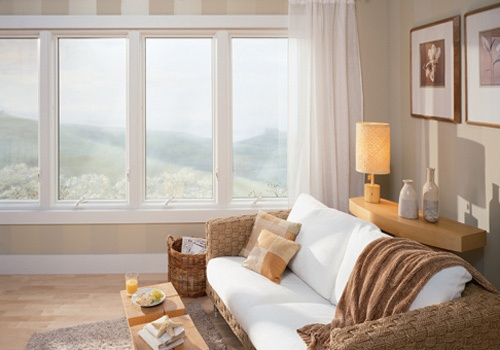 At Renewal by Andersen, we’re proud to offer the finest replacement windows in Lancaster and all of Central PA. Whether your needs involve traditional double-hung, casement, picture, awning or unique custom windows, we have the window that’s just right for your home. 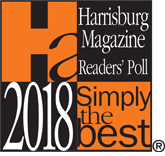 What Do You Dislike About the Windows in Your Lancaster County Home? The windows are drafty – Older-style windows are notoriously drafty due to multiple factors. First, they may no longer fit as they once did. While this can occasionally be remedied, it’s usually a sign that there’s another problem that must be addressed. Secondly, draftiness is often a result of the breakdown of the window construction. Finally, the windows may be cheaply made. The windows are cracking – Look carefully at the glass in your windows. Do you notice that they have tiny spider-like cracks in the panes? 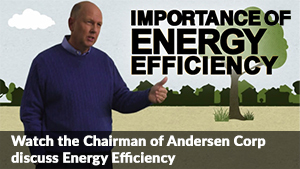 This is a huge signal that it’s time to give Renewal by Andersen a call. The cracks will not disappear on their own, and they’re likely to keep getting bigger. Every crack is money flying out the window! The windows are hard to clean – Does it take forever to clean the inside and outside of your windows? Have you all but given up on being able to get them spotless? Newer models of windows sold by Renewal by Andersen are built so you can scrub them thoroughly from the inside of your house. You never have to get on a ladder to clean second- or third-story windows, and you don’t have to worry that the windows won’t clean nicely. The windows don’t blend with the architectural style of the house – Many of Lancaster’s older homes are sporting windows that don’t add to the architectural beauty of the properties. Back when these homes were built, there were only one or two styles of windows. Now, it’s possible to add to the value and appearance of your home with windows created to enhance the architectural properties of your house. The windows are letting in the wrong kinds of light – Have you noticed that your carpets and furnishings are beginning to fade because of the sunlight that’s hitting them every day? Instead of keeping the curtains closed, you can always invest in windows that offer protection from the harmful rays of the sun. 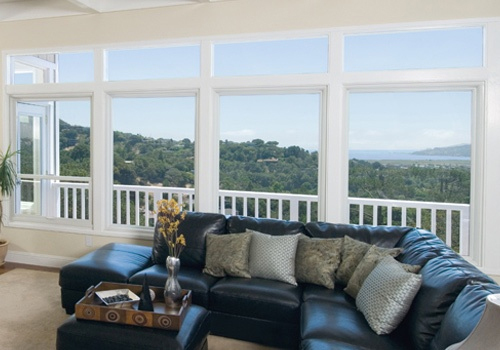 These types of windows are ideal for letting the warmth of the sun into your home without enabling the elements that fade furniture and flooring. The windows are leaking – After a rainstorm, are your window sills wet? This is an indication that there’s a serious problem, and you need to address it soon. Moisture that gathers around a window could lead to mildew and mold issues. The windows are fogging up – Do you notice that your windows begin to fog up at certain times of the year? Older-style windows that have double panes do this regularly, and it’s not just annoying – it’s a moisture problem waiting to happen. The windows are allowing insects into the house – While this can sometimes be an issue with a faulty screen, it may also be that the windows have too many nooks and crannies. Not only is this an annoyance, but it can also be a health issue if bugs or mosquitoes are getting inside and carrying diseases. Renewal by Andersen can provide you with the right varieties of windows to achieve your goals and get rid of problem areas. Plus, new windows are more affordable than you might think and they can transform your Lancaster house! Here to help Wendy and Rod Rick with more windows, thank you! Assisting Steven and Natalie with their old inefficient wood windows. Here to help Joyce & Samuel with their old worn out bay window! Did you know that if your home has old, drafty windows that you could be losing up to 40 percent of your energy consumption due to leakage? When you choose Renewal by Andersen for your replacement windows in Lancaster, you’re ensuring that the energy stays inside your house, where it belongs. This means less anxiety when opening those winter and summer energy bills. It doesn’t matter what source you use to heat your home, either. Our replacement windows seal in the warmth whether you have a pellet stove, an oil furnace or natural gas equipment. The result is a house that’s the right temperature every day of the year. This will take the worry out of having to constantly fiddle with the thermostat or avoid sitting near drafty windows. You can bask in comfort no matter where you are in your Lancaster County home. 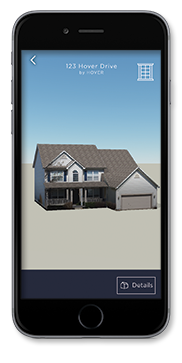 The real estate market throughout Lancaster and the surrounding communities is getting stronger every season. This makes it an excellent time to consider selling if you want to downsize or upgrade. However, you need to prepare your home to make it attractive to potential buyers. Making your home appear more modern – Buyers feel confident when they learn that you’ve just replaced all the windows in your house. They know this means they’ll save money on energy bills. Improving your house’s curb appeal – Never underestimate the value of curb appeal on real estate buyers. If your home looks incredible and inviting from the outside, buyers will be more likely to want to investigate the inside. Our replacement window specialists can walk you through the variety of window options that will be right for your home’s architectural design. Giving buyers a reason to spend more – Every seller wants to get the most money possible when selling a property. Consumers are willing to bid higher when they know that the windows have been replaced. After all, they won’t have to replace the windows themselves, which gives you negotiating power. Adding square footage – In the case of a bay window addition, it may be possible to add square footage to your Lancaster County residence. This could mean the difference between getting a lower-than-expected or higher-than-expected bid. Plus, bay windows are attractive features that also change the appearance of a house and improve curb appeal. Taking the worries out of window cleaning for buyers – The last thing a buyer wants to think about when considering your home is how much time it’s going to take to clean the windows! When you work with Renewal by Andersen to install our window models, you’ll be able to showcase just how simple it is to keep all the windows clean. Enabling you to show off the interior of your house – Have you ever walked into a property and felt like it was gloomy? That’s no way to impress buyers. 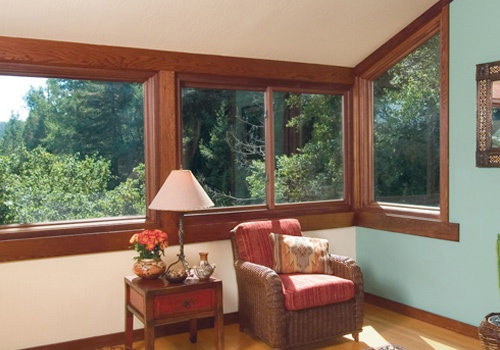 Renewal by Andersen replacement windows are designed to let the light into your home. When a room is bathed in sunlight, it looks more attractive and seems more inviting. 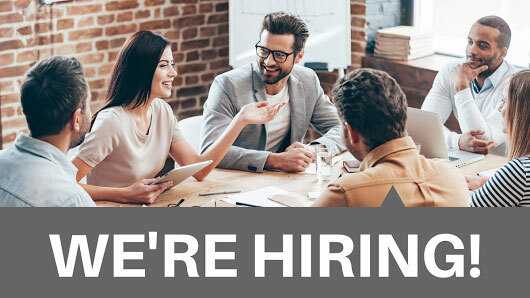 There’s never been a better time for real estate sellers to give Renewal by Anderson a call and get a complimentary appointment with one of our replacement window specialists. At Renewal by Andersen, we believe that replacement windows in Lancaster shouldn’t only make sense for your home; they should also make sense for the environment. Our Fibrex windows are made from recycled wood and vinyl materials that are leftover from other Renewal production processes, so there’s no harvesting of new materials from the earth. Our windows are constructed for durability and will last a long time, resulting in less waste returning to the environment. You might pay a little more for the best replacement windows in Lancaster, but you’ll get more value for your hard-earned money in return. When you consider the money to be saved in lower energy bills thanks to our long-lasting Fibrex construction, you’ll likely end up saving money in the long run. Value for your dollar is really what’s important when buying replacement windows in Lancaster. The ability to enjoy your Lancaster home – Do you currently avoid certain areas of your home at times of the year because of drafty spots? This is a waste of your space, and it spoils your opportunity to truly live in your house. With replacement windows, you will finally be able to sit, stand, play, work, relax, exercise and entertain in all the spaces of your home. A higher appraisal of your property – This is especially important if you’re planning to sell your house. By replacing all or most of the windows in the residence, you’ll be able to set your asking price higher than if you kept your old-style windows in place. A better house appearance – Do you feel excited when you come home? Do you love how your house looks from the sidewalk? With replacement windows, you can enjoy coming back to your castle, rather than dreading the way your home appears from the curb. This will reduce any kind of stressors you feel when you spend your time loving your house instead of wishing it were different. A faster way to maintain the cleanliness of your house – Who wants to spend all day cleaning windows? Renewal by Andersen offers revolutionary window styles that enable you to clean both the interior and exterior surfaces without leaving the comfort of the inside of your house. Not only is this safer than getting on a ladder, but it’s faster, too. You’ll spend less time scrubbing and more moments basking in the glow coming from the spotless panes. 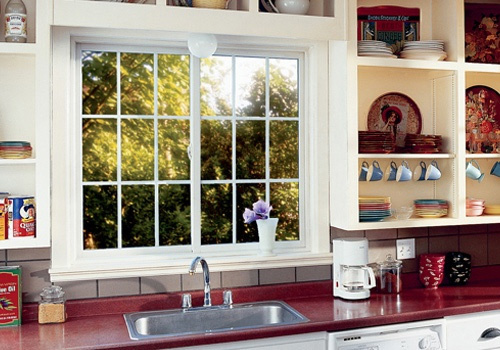 What value will you get from your replacement windows? Renewal by Anderson would love to chat with you about the opportunities available to transform your property. You’ll be pleasantly surprised to learn that value is just a phone call away, and our pricing options make paying for your replacement windows convenient. Many Lancaster homeowners overlook their basement windows. This oversight is understandable, especially if the basement space isn’t livable or isn’t used on a regular basis. However, having the wrong windows in a basement setting can cause serious problems down the road, or right now. Basement windows are usually lower to the ground, and they are often butting against the earth. This puts a different level of stress on them than on the other windows of the house. Even if the windows are protected by a deep window well, the well can become flooded with water, debris, and wet leaves. Not only does the window have to cope with the pressures it receives from around its edges, but it also has to deal with the pressure it receives from the items pushing on the pane. Not surprisingly, cracked and leaky basement windows are a common concern for homeowners in Lancaster County. Many times, the homeowners don’t realize the windows are problematic until they give way, leading to a flood in the basement or destruction of property. Instead of waiting for a disaster to rear its head, you should replace your basement windows when you replace the windows in the rest of your house. This will ensure that the basement area stays dry around the window sill, as well as prevents damage caused by leaky windows. Are Your Attic Windows Costing You Money? Just like the basement windows, attic windows can cost homeowners quite a bit of money every year without the homeowners ever realizing it. Attic windows, especially those in older homes, are often one-pane windows that are poorly insulated. Even if the attic is sealed off from the rest of the home, the draftiness can eventually make its way throughout the rest of your property through the floorboards, walls, and small cracks. Just as you would want to ensure that your attic has the right kind of insulation, it’s essential to make sure it has the right kind of replacement windows. A bonus to having better attic windows is that you’re less likely to have bats, insects, and small rodents getting in through windows that aren’t properly sealed. You may not spend a lot of time in an unfinished attic, but it’s still an integral part of your home! Do you keep valuable items in your shed, garage or barn? 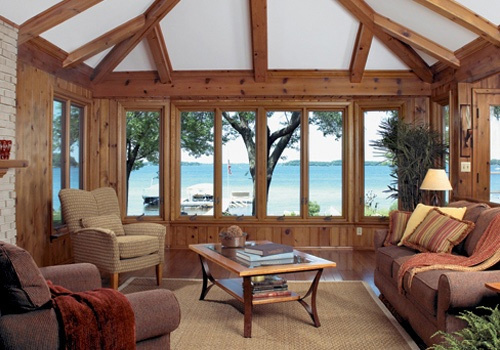 Protect those items by replacing subpar windows with new models from Renewal by Andersen. Even if your Lancaster County building is unheated, replacement windows will keep the area cleaner, drier, and less inviting to bugs, rodents, and small mammals. In the end, you’ll feel more confident about storing your treasures such as motorcycles, landscaping equipment, tools and more because you’ll know that the windows are helping you keep those treasures safer. For more information on the best types of windows for your attic, basement, garage, barn or shed, contact Renewal by Andersen today. At Renewal by Andersen, we’ll guide you through the process of getting the best replacement windows in Lancaster. Our design consultants will come to your home to help you select the right windows and provide a free no-obligation quote. And our certified professional installers are backed by a 20-year warranty. Getting the best replacement windows in Lancaster has never been easier. 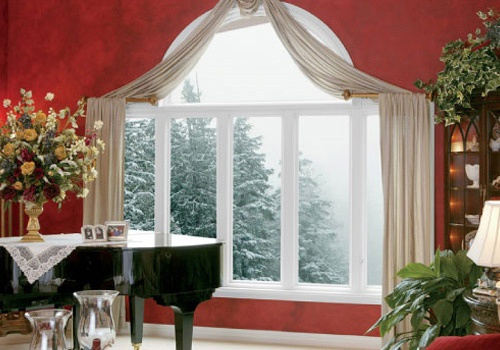 We also offer replacement windows in Lititz, PA, Manheim, PA, Millersville, PA and Strasburg, PA.